Janice Kephart is a national security fellow at the Center for Immigration Studies. A fledging system to track the departure of foreign nationals leaving by air (hereafter called "exit" for the sake of brevity) may make an appearance by the end of 2014. Or at least, an actual plan may be formulated for its rollout, based on testing of current biometric solutions for air departure that the Department of Homeland Security (DHS) will be obliged to implement in another year or so. Over the past 17 years, Congress has passed eight laws requiring the implementation of an exit system at all ports of entry. After 9/11, three of these laws, based on 9/11 Commission recommendations, required that biometrics (like fingerprints, facial recognition, or iris scans) be used to verify the identity of foreign nationals both arriving in and departing from the United States. The 9/11 Commission found (with the help of the staff's border team, where I was counsel) that the 9/11 hijackers used over 300 aliases to enter and exit the United States and two watchlisted terrorists could not be located in August 2011 because no real-time departure system existed. As a result, the Commission recommended that individual identity characteristics such as fingerprints and digital photos be used to verify identity, not just names. In 2004, a complex infrastructure was set up at all ports of entry to capture the biometrics, or identity, of arriving foreign nationals, known as the US-VISIT entry system run by Customs and Border Protection (CBP). However, a much simpler system that matches departing biometrics with arrivals was never implemented. The result has been a deep concern about foreign nationals easily overstaying their legal lengths of stay because there is no real-time biometric matching system verifying who leaves the country, and who does not. As a result, the failure to implement a biometric exit plan has been linked by the Government Accountability Office (GAO) and others (including me) to stymied efforts to enforce immigration law, greater national security risk, and poor immigration system integrity. Biometric exit thus is a linchpin for successful immigration reform in the minds of many. For others, the issue stands on its own, apart from the debate over immigration reform, due to its long legislative history that requires only oversight for implementation, not new law. Arguably the catalyst for the issue taking the congressional stage in 2013 was an amendment offered during the Senate Judiciary Committee markup of S.744, The Border Security, Economic Opportunity, and Immigration Modernization Act. Sen. Jeff Sessions (R-Ala.) offered the amendment, which made implementation of a biometric entry-exit system at all ports of entry (as required by law) a trigger for upgrading the amnesty recipients to a green card. The amendment caused a firestorm in committee. The next day news reports stated that Sen. Marco Rubio (R-Fla.), an outspoken member of the "Gang of Eight", offered to include a Sessions-style amendment when the bill reached the Senate floor. Instead, Sen. Orrin Hatch (R-Utah) offered an amendment in committee that sought to bridge the gap between the Sessions amendment and the Gang of Eight's vote against the Sessions amendment. Passage of that amendment did not put the issue to rest, however. If the momentum toward biometric exit implementation is to continue into 2014, it will depend in large part on consistent oversight from Congress. Oversight will be imperative no matter how broader immigration legislation fares in the coming year, requiring DHS to answer questions and keep to a timeline provided by DHS Assistant Secretary for Policy David Heyman to the House Judiciary Committee in November; that timeline is that by October 2014 testing should be complete and a concept of operation in place for implementation of a biometric exit. The DHS Secretary's office had proposed that the office responsible for the successful implementation of a biometric entry system for foreign nationals, US-VISIT, be dismantled and tucked away in the most politically volatile agency at DHS, Customs and Border Protection (CBP). Yet the playing field has changed dramatically, and while the rules have not changed, those with authority to implement the law have, as has the technology, its cost, and proof of concept around the world. With all of that, including increasing familiarity among travelers with biometric borders worldwide, many members of Congress believe that the time may be right for implementation of a biometric exit system. More specifically, here are 10 reasons a biometric exit system may advance in 2014. 1. Congress Is Hot on the Issue. It is using both its legislative and oversight functions to pressure DHS to make exit happen. For the first time since the late in the Bush administration, Congress is taking biometric exit requirements seriously. It began with the immigration markup in the Senate Judiciary Committee in May 2013, continued during Senate floor debate and passage of S.744, and through the nomination of new DHS Secretary Jeh Johnson in November. Biometric exit could now be a key issue for an immigration bill in the House, or if immigration legislation goes to a House-Senate conference. The House has clear bipartisan support for biometric exit, while the Gang of Eight is clearly opposed to biometric exit as a trigger. On June 6, 2013, the House passed by voice vote an amendment offered by Rep. Lou Barletta (R-Pa.) to the Department of Homeland Security Appropriations bill that "prohibits use of funds for official reception expenses until the Secretary fully implements the biometric entry and exit data system." Considering that the House continues extensive oversight and legislative development as two committees vie for jurisdiction of the issue, the debate itself may mean the biometric exit issue draws a clear line in the sand between the Senate and the House. That tension could keep the issue in the forefront apart from the immigration reform debate, spurring oversight and thus, implementation. 2. DHS Secretary Napolitano, Who Adamantly Opposed Biometric Exit, Is Gone. In fact, the component agency within DHS that uses biometric entry data extensively, CBP, is now in charge due to a 2012 Senate appropriation requirement. Until recently, the secretary's office had held the implementation authority. CBP has a core operational need to develop an effective plan by seeing that current statutory law is implemented. Working with S&T, the office is establishing a physical facility that mimics real-life port scenarios. This facility, which will be operational in early 2014, will be used to test the latest in technological advancements in biometrics that may be candidates for use in matching departure information to arrivals. Only through this testing can CBP and S&T identify and qualify potential solutions, as well as assess the economic impacts of such solutions. As the test facility is being built this fall, CBP will develop strategies, goals, and objectives for the biometric air exit system that will be used to inform the testing process that will begin in 2014. That testing was supposed to begin in November, but was delayed due to the government shutdown. The testing begins as a biometric technology marketplace, with a facility in northern Virginia replicating different types of exit controls with a wide variety of biometric capabilities. As I understand it, the testing will whittle down the options over the next few months to determine what technologies serve the purposes most efficiently, with the least amount of traveler inconvenience, all with cost in mind. This testing has the advantage of allowing all vendors — regardless of size or relationships with DHS — to compete. From an outside perspective, this free-market approach is both good for innovation and for increasing the likelihood of a seamless implementation, assuming that Congress maintains pressure to learn the results and how those results will produce a rollout. 4. Senate Judiciary Committee Markup of S.744 Included Two Biometric Exit Amendments. Last year's Senate immigration debate featured extensive discussion of biometric exit, first raised in committee by Sen. Jeff Sessions, who sought to require that 17-year-old laws mandating an exit system for foreign nationals be fully implemented at all ports of entry prior to adjusting the status of amnesty recipients to lawful permanent resident status. An exit system that verifies identity is even more important under the construct of S.744, since the provisional status that would constitute the first phase of the amnesty would bring with it an unusual new privilege of traveling outside the United States and being permitted to return. The amendment resulted in a strong exchange between Sens. Sessions and Schumer, whose debate was closely followed by Sens. Grassley (R-Iowa), Hatch, Cornyn (R-Texas), and Feinstein. In support of his amendment, Sen. Sessions submitted a previously unknown 2009 DHS report that concluded unequivocally that biometric exit was feasible and produced an almost 2 percent watchlist hit among the 30,000 foreign nationals processed through the pilot programs at two international airports during the highest-volume travel season. Sen. Schumer responded that the biometric technologies were not good enough and the system would cost $25 billion. Sen. Feinstein requested cost numbers privately from staff, seriously concerned that the 2009 report had never been shared. While Sen. Sessions's amendment failed, the issue became a bone of contention among the Gang of Eight and the Senate took notice. An amendment offered by Sen. Hatch did pass (discussed below). On June 10 and again on June 11, 2013, Sen. Sessions delivered floor speeches that discussed the issue of exit implementation at length, found here and here. Sen. Sessions made a number of floor statements, nearly all of which included a discussion of biometric exit. One was over two hours. Also on June 11, Sen. Cornyn used failure to complete implementation of a biometric entry-exit system as an example that the "American people justifiably feel that the rug was pulled out from under them" on immigration enforcement. See p. S4073 here. Sen. Dan Coats (R-Ind.) rose to raise his concerns on June 12, found here. On June 11, 2013, Sen. Schumer submitted amendment SA 1192 to S.744 authorizing the DHS Secretary to designate airports that may "accept aliens arriving to or exiting the United States by aircraft"; requiring airports to designate space and facilities for a biometric exit deployment at no cost to the government; and providing sanctions for failure to comply. Although overly punitive, the amendment recognized a key loophole in current law, which does not require airports to "designate adequate space and facilities" for implementation. The text of the amendment can be found here. On June 12, at least two major amendments to S.744 included provisions requiring a implementation of a biometric entry-exit system as triggers to legality. Sen. David Vitter's (R-La.) amendment No. 1228 is found on p. S4411 here. The amendment was the only one of the biometric exit amendments accepted by Majority Leader Harry Reid (D-Nev.) for a vote. The amendment prohibited a temporary grant of legal status, or adjustment of status, of any person unlawfully present in the United States until an exit system at every land, sea, and air port of entry is in place, and verified by a joint resolution passed by Congress. The amendment's summary can be found on p. S4519 here. In addition, Sen. Cornyn's lengthy border security amendment denied adjustment of status to those granted provisional legalization until an air and sea exit was fully implemented, found on p. 4417 here. The Department [DHS] has lost track of more than one million people. We know they arrived in the United States, but we do not have departure records. By statute, the Department is required to report overstays. They claim they do not report the estimates because of a lack of confidence that the data is reliable. After 17 years, the law has been ignored. The government is not sophisticated enough to match incoming and outgoing travel records, and that is a serious risk to our national security. The statement can be found on p. S6101 here. On June 19, 2013, Sen. Deb Fischer (R-Neb.) submitted an amendment to S.744 that included as a trigger for the processing of registered provisional immigrants the full implementation of a biometric exit under the requirements of the 2004 Intelligence Reform and Terrorism Prevention Act, found here. Sen. Mike Lee (R-Utah) also made clear his support for a biometric entry-exit system, found here, stating: "It is very reasonable to assume there is a significant connection between our failure to implement this entry-exit system called for by existing law and the fact that a sizable chunk — several millions of our current illegal aliens — are people who have overstayed their visas." The committee . . . adopted my amendment to establish a mandatory biometric exit system at the 10 busiest international airports. Preventing individuals from entering the country illegally is only one side of the coin; the other side, of course, is preventing individuals from overstaying their visas. We know if that works in those airports, we then will be encouraged to expand that in many other ways. Nearly half of those who are currently here illegally came into the country legally but did not leave when they were supposed to. My amendment tackles that part of the equation. I do want to respond to what some of my colleagues have said about this new biometric system. Some have claimed that my amendment dials back current law. Let me be clear: I fully support the biometric exit system provided for under current law. Sadly, it has not been properly implemented. What good is it if legislation simply remains on paper? . . . My amendment will actually deploy a real biometric exit system — something that current law has failed to do. Dating back to 1996, Congress has mandated in six statutes that a biometric entry-exit system be implemented. In 2012, Rebecca Gambler, GAO's Director of Homeland Security and Justice Issues, testified before the Judiciary Committee that "DHS faces challenges in identifying overstays due to its general reliance on biographic entry and exit information, rather than biometric information, hindering DHS's efforts to reliably identify overstays. . . . Without [biometric] exit capability, DHS cannot ensure the integrity of the immigration system by identifying and removing those people who have overstayed their original period of admission — a stated goal of US-VISIT." For precisely that reason, a biometric — and not a biographic — exit system must be implemented to achieve real border security. Secretary Napolitano refused to implement such a system, variously claiming it was too expensive and/or that the technology did not exist. However, an internal 2009 DHS report found conclusively that biometric exit is effective and efficient, and current data from industry demonstrate that the technology is affordable. Do you disagree with GAO or that a biometric exit system must be implemented to ensure real border security? Do you acknowledge that federal law requires DHS to implement a biometric entry-exit system? If confirmed, will you commit to implementing the system within one year? The letter was signed by Sens. Grassley, Sessions, Lee, Hatch, Cornyn, and Ted Cruz (R-Texas). The House is taking the issue of biometric exit extremely seriously, conducting extensive due diligence. Both major committees with relevant jurisdiction over immigration (House Judiciary Committee) and border security (House Homeland Security Committee) have competing bills. Judiciary has passed its bill; House Homeland's markup scheduled during the shutdown was postponed. The momentum remains in both committees, however, as both have held hearings and markups that have included a remarkable level of congressional staff and member involvement. 7. House Judiciary Committee Bill Passage and Hearing. On June 18 2013, the House Judiciary Committee passed the SAFE Act (H.R.2278), which includes Sec. 607, a straightforward provision requiring implementation, as required by current law, of a biometric exit within two years at every land, air, and sea port of entry. On November 13, 2013, I was lead witness to a full committee hearing entitled "Implementation of an Entry-Exit System: Still Waiting After All These Years". The webcast for the 2.5-hour hearing can be found here. The webcast begins at 00:43:30 and my statement is at 01:09:58. My written testimony is based on my CIS report "Biometric Exit Both Feasible and Cost Effective". The hearing also featured Julie Myers Wood, former assistant secretary for ICE and now at Guidepost Solutions LLC, discussing the immigration enforcement ramifications of failure to implement a biometric exit; Jim Albers of MorphoTrust USA, a supplier of ID-related products and services; and David Heyman, assistant secretary for policy at the Department of Homeland Security, whose testimony included information about Canadian-U.S. information-sharing on land border exit systems and the 2014 testing of biometric solutions for exit systems discussed previously. A biographic exit system (name-based only) relies on human collection and no standards exist for those who collect the data. 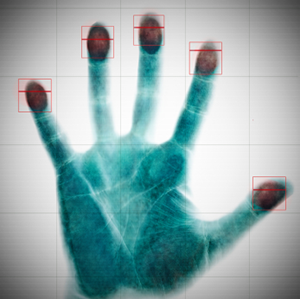 Biometric data are based on international standards using highly reliable collection technology. DHS implementation cost estimates are out of date and high. Today, biometric border collection convenience is high, collection is faster and better, and costs have come down considerably. Today, more than 70 international airports have biometric systems, and MorphoTrust also has installed more than 150 systems across eight countries in 24 international airports, processing over a billion passengers per month. Other companies have done the same thing. They use facial recognition, fingerprints, or iris scans to determine identity and assure accuracy. We can do this without disrupting legitimate trade and travel at reasonable cost. The FBI uses fingerprints and is rolling out next-generation iris and face systems now; biometrics are standard identity practice. In 2006 and 2007, we relied on biographic exit records due to cost constraints. However, the landscape has changed and biometrics are now available everywhere. While biographic is better than no system at all, a lack of a biometric system allows criminals to abuse the system. Instant, verified exit data would be extremely useful to both basic immigration enforcement as well as identifying national security risks, and biographic systems do little to deter these individuals from leaving. Today, there are only 300 dedicated counterterrorism compliance enforcement unit agents. Without a biometric exit, agents end up chasing leads on people who have already left, wasting scant resources when they could be going after genuine threats. However, even a biometric exit is not that useful without enforcement follow-up. ICE Homeland Security Investigations only spends 1.8 percent of its enforcement hours on overstays. With better biographic data, they are getting more leads every year. But enforcement continues to diminish. In 2005, there were 13,000 non-priority lead investigations. In 2012, there were 212,000 referrals but ICE only opened 2,800 investigations. What is clear is that overstays are no one's priority, and thus everyone's problem because failure to deal with them diminishes immigration integrity. To clarify that part of the problem is resources, 20,000 Border Patrol officers focus on 60 percent of problem (i.e., roughly 60 percent of the illegal population crossed the border illegally), but only 300 Homeland Security Investigations officers focus on the other 40 percent of problem (visa overstays). With such a low level of enforcement and resources, overstays will grow even with a biometric exit system. Commitment to exit must be accompanied by commitment to enforce the law against those who have not departed when they were supposed to. The hearing was remarkable for several reasons. First, exit could be considered a narrow immigration subcommittee matter, but Chairman Bob Goodlatte (R-Va.) decided to take the issue to the full committee level. Second, the hearing produced broad bipartisan support for biometric exit from members, despite different views on immigration more broadly. For example, Rep. Robert Scott (D-Va.) asked repeated questions of DHS's Heyman regarding failure to implement exit, especially considering new information on cost and feasibility. Rep. Sheila Jackson Lee (D-Texas), who currently supports House Committee on Homeland Security legislation regarding a biometric exit, tied implementation to immigration reform. Rep. Hakeem Jefferies (D-N.Y.) confined his questions to the issue of whom the biometric exit applied to, and whether U.S. citizens would be subject to a biometric exit (under law, they would not be). Waiting over two hours to ask questions, Luis Guiterrez (D-Ill.), a leader in the push for "comprehensive immigration reform", stated that if a vote were taken at the time of the hearing, every member of the House would support biometric exit. At the end of the hearing, Rep. Raul Labrador (R-Idaho) asked me a question that enabled members to separate the issue of biometric exit from immigration reform. In fact, at least some members seem to believe that the issue of exit is distinct from immigration reform, and has a better chance of implementation if treated separately from that controversy. Third, the basis of the hearing was not a government report, but my CIS report on the cost and feasibility of implementation — because DHS has not produced a public report on exit since 2007. Finally, interest in implementation was strong enough among members of the committee to cause the U.S. Chamber of Commerce to send a letter to the committee threatening to turn key votes against members if there is an attempt to gain full passage of SAFE Act provisions. That the Chamber is willing to put political muscle behind defeating biometric exit, a law that has retained political support for 17 years, indicates a real concern on the Chamber's part that the issue may have real traction. 8. H.R.3141, "The Biometric Exit Improvement Act of 2013". The House Homeland Security Committee has spent considerable time developing H.R.3141, making sure provisions can achieve consensus for passage and operability if signed into law. The bill continues to require improvements to assure implementation, such as authorization for funding, a requirement that airports designate space and facilities for implementation, and that the airlines' requirement to collect data in a 2007 statute be repealed. My blog on H.R. 3141 is here, and the House Homeland Security Committee is attempting to address many of the issues raised in that blog. On September 26, 2013, the House Homeland Security Subcommittee on Border and Maritime Security held a hearing titled "Fulfilling A Key 9/11 Commission Recommendation: Implementing Biometric Exit". The backdrop to the hearing was H.R.3141. The witness list consisted only of three government witnesses: John Wagner, acting deputy assistant commissioner, Office of Field Operations for CBP, to discuss how air exit works today and plans for a biometric exit integration into the current program; John Woods, assistant director, Immigration and Customs Enforcement, to discuss the issue of how overstay data are derived from the current electronic air exit system; and Rebecca Gambler, director, Homeland Security and Justice Issues at the Government Accountability Office (GAO). Gambler issued a report in July (referenced previously) concluding that the failure to implement a biometric exit system has resulted in DHS having a lack of confidence in its own overstay data, and the poor data directly impact immigration enforcement. Also discussed in that hearing, as it was in the House Judiciary hearing in November, was cost and feasibility, including the conclusions from my report. In January 2014, this same House Homeland border subcommittee held a closed-door session between members and key industry players that would likely be responsible for implementing — or at least bidding to implement — a biometric exit. Members’ willingness to take the time to fully understand feasibility and cost issues without political hyperbole indicates a sincere interest in supporting biometric exit implementation. 9. Implementing Exit Is Feasible and Cost Effective. As discussed in depth in my CIS report and House Judiciary testimony, DHS reporting from 2009 and current industry public statements make clear that exit can be implemented now, with fast, accurate, proven technologies in a cost-effective manner that will, at air and sea ports, cost no more than $700 million, even assuming a 50 percent cost overrun. Those numbers I derived from a detailed review of the DHS 2007 cost estimate alongside current numbers provided by the biometrics industry. 10. At Least 17 Countries Have Implemented a Biometric Entry/Exit System Successfully. As I testified to in my House Judiciary Committee testimony, in fact, the Biometrics Institute, which includes government representatives from 80 countries as well as vendors, named borders as the biggest biometric trend in the world for 2013. New Zealand is on its second generation of biometric border systems, which combine airline ticket check-in with immigration departure; Indonesia's system provides real time watchlist hits at airports as big as the largest U.S. airports; Hong Kong uses biometrics at its largest land border with China; both Canada and Mexico have implemented biometrics into their trusted traveler systems; and India has implemented a biometric national ID card. Examples of successful implementation exist around the world, evidence that off-the-shelf solutions are proven and effective and fast to deploy.